Following the closing of the Swift & Company plant, South St. Paul business leaders came together and established a private lending organization, South St. Paul Future Incorporated. Future Inc. is funded through common stock purchased by the individuals of South St. Paul. The shareholders receive no dividends or capital appreciation through holding the stock, it is solely for a philanthropic purpose. Today, Future Inc. offers competitive fixed asset financing to qualified firms whose operations are based within the City of South St. Paul. Whether you need financing for new equipment, expansion, startup costs, or acquisitions, Future is here to help you with the next step. Watch the video to see how we’ve assisted businesses in the past. If you are interested in starting the application process, or would like additional information, please fill out the information card below and our staff will be in contact with you shortly regarding the next steps. We understand the most important investment in life is education. 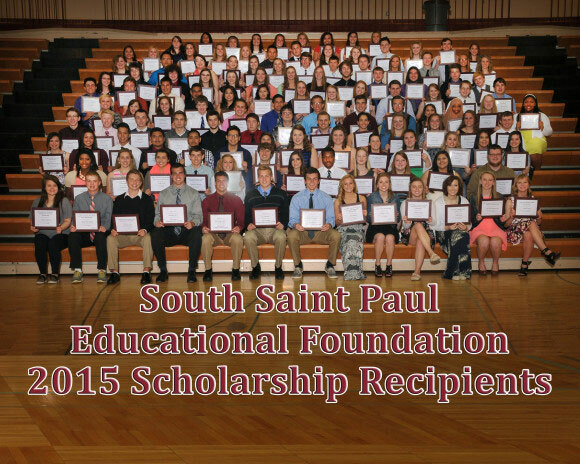 That’s why South St. Paul Future is proud to contribute as a benefactor towards the South St. Paul Educational Foundation. This foundation assists children with exceptional educational opportunities, scholarship assistance to our graduating seniors, and support of alumni relations for our school district to help build a stronger Foundation. Furthermore, South St. Paul Future Inc. is looking at additional scholarship opportunities for individuals pursuing a degree at Dakota County Technical College.